Nine Stories is a little demo that my brother Jona and I made in his bedroom when we were in a band together called “Allegro”. We recorded it with circa 1996 Mac editing software called “Deck II”. A year earlier we had spent a whole ton of money recording an album in a big fancy studio with real producers and engineers. I think this sounds tons better. Jona is a real life rockstar now and has a band called “YACHT” that tours the world. He has seen a million faces, and he’s rocked them all. On this demo, Jona plays drums, bass and some guitar. I play guitar, bass and I sing. 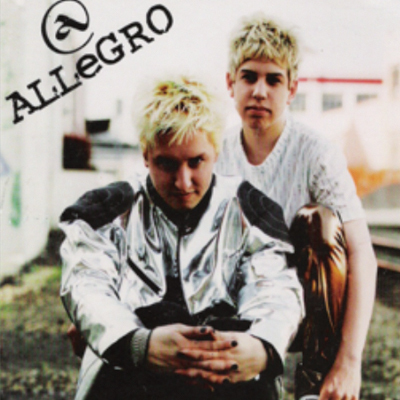 When we performed live as Allegro, we were a two piece band. Jona played drums that were also triggered to be electronic drums so they sounded big and he could emulate different kits if he wanted to. I played guitar though a Marshall stack and an Ampeg bass 8×8 bass stack. The guitar went through a subharmonic generator called a “Meatbox” before it hit the bass amp allowing the guitar signal to be full of low end like a bass guitar. Enjoy!